Floral designer, Emily Campagna created Rust & Thistle to bring to focus the timeless beauty of the natural world that we often ignore. The beauty of flora has taken center stage in her life since she was young. She is now a certified florist from the Floral Design schools of America. She has also worked with acclaimed designers such as Michael Gaffney. She uses this expertise and experience to bring the beauty of nature to your event with her classic floral designs and arrangements. 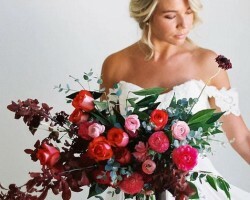 This local full service flower shop has been providing personalized wedding flowers to the people of Boise since 1994. They specialize in providing flowers for weddings and parties. Their services are friendly and prompt. All customers are treated like VIPs by the professional staff so they go the extra mile to make sure that each floral arrangement and gift is perfect. Consultation and delivery services in the Boise are free. Bouquet Flower Shop is a family owned flower shop in SE Boise. To provide the kind of friendly service and affordable prices that other flower shops in the Treasure Valley lacked, Ashleigh, Jill and Mykayla opened Bouquet Flower Shop in June 2013. The shop specializes in wedding flowers. Ashleigh is a highly skilled florist who trained under flower design professionals before starting opening own shop. She has received glowing reviews from her clients for her expertise and professionalism. Established in 1974, Hillcrest Floral and Gifts is one of the oldest flower shops in Boise. It is a family owned and operated business serving Boise and surrounding areas in Idaho. 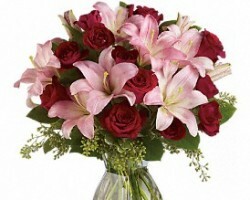 They have floral packages for all occasions from sympathy flowers to anniversary flowers available at very affordable rates. 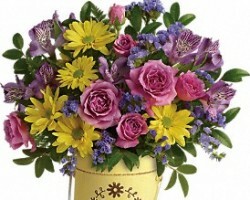 You will find few florists in Boise, ID with so much dedication to providing their clients outstanding services. Contact them to book their services. If you want quality flower arrangements at your next special event or a memorable gift for a special person, order from Capital City Florist. This Boise florist offers flowers delivery in Boise and its environs. 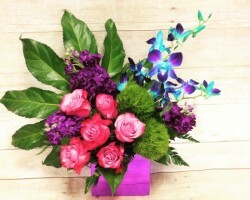 You can always trust Capital City’s professional florists for beautiful, fresh and unique floral creations for all seasons and events from weddings to birthdays. 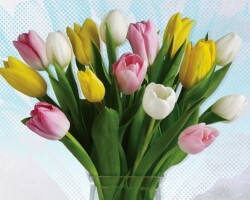 Brighten your day or that of your loved one with a lovely bouquet from Capital City Florist.